Netflix’s adaptation of Shirley Jackson’s classic novel The Haunting of Hill House is genuinely scary. They don’t follow the original story exactly. The main characters are a family living in the house, not paranormal investigators, but many of the best lines from the novel are used. I’d say it certainly stays true to the spirit of the original work. I usually don’t get scared when I watch horror movies, but for some reason, a few scenes from this really sent shivers down my spine. The ending of the first episode really got me, even the second time I watched it. Since horror, like beauty, is often in the eye of the beholder, your experience will undoubtedly differ from mine. Maybe you’ll be frightened by scenes that didn’t get me and vice versa. But anyway, I definitely recommend it. The story is told out of order, forcing the viewer to put everything together like a jigsaw puzzle. We switch back and forth between the nineties when the children were still kids living in Hill House and the present day in which they’ve all grown up and moved away. The first five episodes each focus on a different one of the five children. Each character has depth and seems like a real person. This isn’t just great horror, it’s great television. There’s a scene early on in which the father comforts a child who sees a ghost. (We find out later that she suffers from sleep paralysis.) He tells her that dreams can spill into the waking world sometimes like a cup of water and that it’s nothing to be afraid of. Of course, being a supernatural show, the sleep paralysis explanation is undercut by ghosts actually being real, but I like that they at least explain that sleep paralysis is a real thing. I also liked the terrifying description of the ghost killed in a car crash later on in the first episode. He looks down from the ceiling dripping water, his face purple from pooled blood. When he opens his mouth, the sound that comes out is a car horn. The woman who sees him doesn’t scream at first because she’s too terrified. The way the actress told it was really spooky and made me wish they’d shown the scene, although maybe making us imagine the scene made it spookier. I also liked the part where Mrs. Dudley tries to evangelize to young Steven and his mom walks in. She explains that Steven has already read the gospels. “Hugh and I decided when Steve was little. See, we knew that throughout his life he’d be exposed to all sorts of ideas and beliefs, that there’d be all sorts of people who’d tell him they had the answers.” Steven even uses the Shakespeare quote which is usually used in support of supernatural belief (“There are more things in Heaven and Earth, Hortatio, than are dreamt of in your philosophy”) to refute Mrs. Dudley’s belief instead. Shirley Crane is also a skeptic like her brother. She owns a funeral home. There’s a spooky moment when she’s trying to talk a kid into looking at his grandmother’s body. (By the way, why are people so insistent that kids view dead bodies at funerals? If the kids don’t want to look, don’t make them. I once saw a mother force her children to look at their grandmother’s body at a funeral even though the kids were obviously traumatized enough already.) The kid replies that he doesn’t need to see her body because he still sees her in his room at night and she never blinks. Another spooky moment. In the present, the two oldest children (the skeptics) are relatively well-adjusted adults, while the three youngest children, Theodora, Luke, and Nell (who do believe in ghosts) are pretty messed up. Theodora is unable to commit to a relationship and remains distant towards everyone, Luke is a drug addict, and Nell is suffering from mental illness. The moral of the story seems to be that, while ghosts are real, you’ll live a happier life if you don’t believe in them. I liked the transitions between scenes in this show. For example, there’s a childhood scene in which Nell says something is an emergency, then in the present day, Shirley says everything’s always an emergency with Nell. A scene in which someone is hammering in the past transitions to a scene in which someone is hammering in the present, etc. Episode 6 was particularly impressive in a cinematic way since large portions of the episode consisted of one continuous shot. I also liked that the 90s references were subtle. The clothes they wear, the presence of Teenage Mutant Ninja Turtles pillow cases (my brother had the exact same ones), and Steven playing a Sega Genesis video game on a small screen TV all show you that this takes place in the 90s, but they don’t shove the nostalgia in your face like Stranger Things does with its over-the-top 80s references. 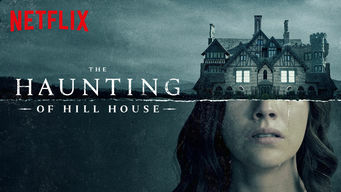 The Haunting of Hill House does a great job building tension and being scary without resorting to gratuitous violence. I felt like they started to overdo the jump scares by the second episode, but this is probably unavoidable for any horror show that lasts more than one episode. The second episode does manage to make cute kittens seem scary, which is a pretty impressive achievement. I didn’t care for the ending of the season, which is too bad, because the build up was fantastic. Even with the few problems I had with the show, I still heartily recommend it for any fans of horror out there.